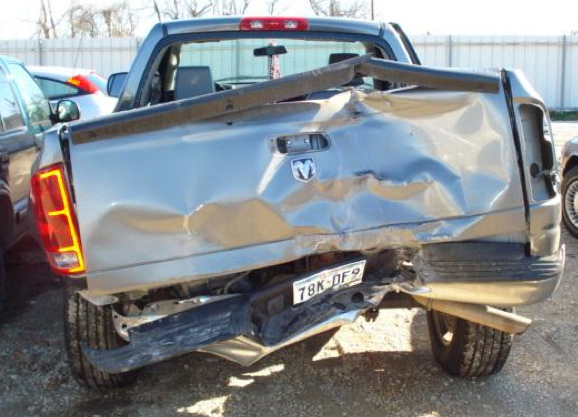 “I was driving me and my friend Trey to the Bell County Livestock Show early one morning this February when I heard a loud pop. Suddenly, my pickup spun end over end and landed upside down, broken in half. I was left hanging upside down by my safety belt. I reached for Trey, who was also hanging upside down, and then kicked out a window so we could crawl out of the truck. We were both scared, but we were alive. Looking back, I know we probably would have been thrown out of the truck and ended up dead if we hadn’t been buckled up. 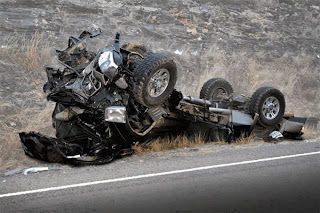 After it happened, someone told me that pickup trucks are twice as likely as cars to roll over in a serious crash, and most people who aren’t buckled up when they’re in a rollover pickup truck crash end up dead. What happened to us could happen to anyone, so Trey and I have been trying to make sure everyone we know buckles up every time, no matter how far they’re going.